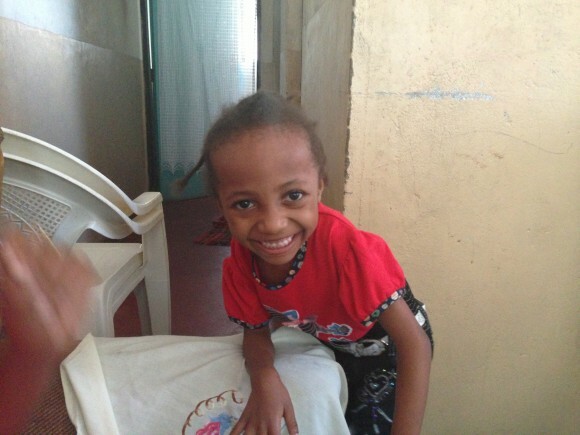 About 4 months ago, I found out that a second cousin of mine who lives in Kenya, a beautiful sweet 5-year-old girl called Blessing, had been having problems walking. Her problems had become so severe she could no longer stand. As I happened to be visiting Kenya, her mother and I decided to take her to a well-renowned children’s hospital. The doctors were able to determine the source of her disability, and we paid for and booked her in for a major operation a few weeks later. A few weeks ago, I was again in Kenya and took the opportunity to check on Blessing. The great news is the operation was successful. She will have to have a little extra work in December but it looks like her bones are now growing correctly. However, to my disappointment I also noticed that she wasn’t yet walking. I tried to hide it, but there was a part of me that wondered why her mum wasn’t pushing her harder to walk. A part of me that almost felt the operation was a failure. But then I thought back to a book I’d just finished reading called “Scarcity”, which gave me an insight into why she might not (yet) be walking. Scarcity is about how time, money, the company of other people, and other “scarce” resources can impact on people’s behaviour in quite negative ways. The authors use the scarcity concept to explain, for example, how and why busy people keep saying yes to new projects when they can’t manage the ones they already have (guilty! ), why dieters often fail, and why people trying to save money often make bad financial decisions. This article offers a neat summary, and this article is more in-depth. The part of the book I reflected on was about diets. The authors explain that if nothing else changes in the life of a dieter, there is nothing to support new habit formation. And the more complex the diet, the harder it is to stick to, because it takes so much effort (or as they call it in the book, “bandwidth”) to process what’s allowed and not allowed. The truth was, in order to walk, Blessing would need to do a range of daily exercises and eat a great deal more protein and carbs than she had ever done before, as her muscles were so weak. But since the operation, nothing else had changed significantly in her life, or her mum’s life to make that more plausible. In fact, her mum had recently found a job. This was great as they now had more financial resources for food and other necessities, but Blessing’s mum lost the time that she could spend helping Blessing do those exercises. These sorts of stories are quite regular in development. Whether it’s new community infrastructure or toilets that don’t get used, employment schemes that don’t turn into careers, or financial access schemes that don’t actually make poor people better off. Many development interventions end up being less effective – or deliver less results – than we might hope for. But that doesn’t mean we shouldn’t do development interventions. Scarcity – which, is, in my view essential reading for everyone working in development – simply suggests we need to design interventions more carefully to include, for example, habit changing elements – such as daily text or email reminders – or to make certain actions automatic so that people don’t have to think about them. For people working on development programmes, we need to avoid thinking too linearly about how results are achieved. Which takes me back to Blessing. As I left, I learnt that she will be heading to school in January for the first time. This might just be the big shift she and her mum need to motivate her to eat more and do those exercises! I hope so. And what I’m happy about is that without the operation, her mum would not have had the confidence to send her to school. So there is hope. Albeit more slowly and in a different way than I had expected.